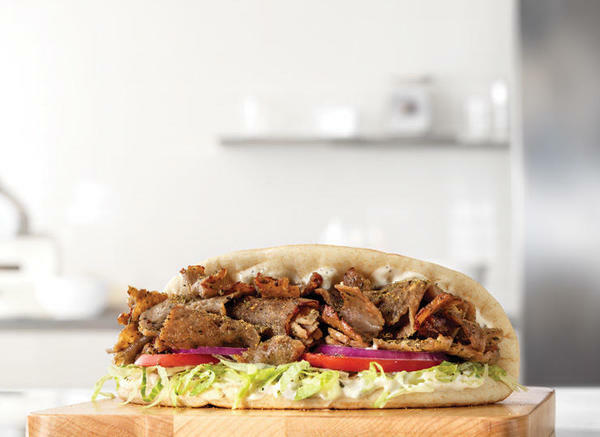 Choose the Greek Gyro, the Turkey Gyro or the Roast Beef Gyro. The best Arby's lunch money can buy. This is the sandwich that put roast beef on the map. 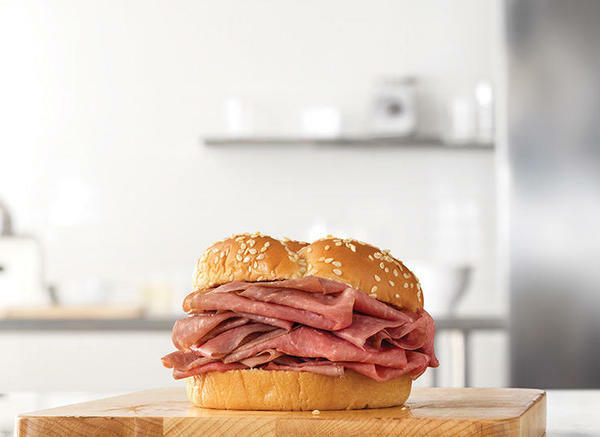 Our classic roast beef is thinly sliced and piled on a toasted sesame seed bun. Try it with our delicious Arby's Sauce®, or for an extra kick go with the zesty Horsey Sauce®. 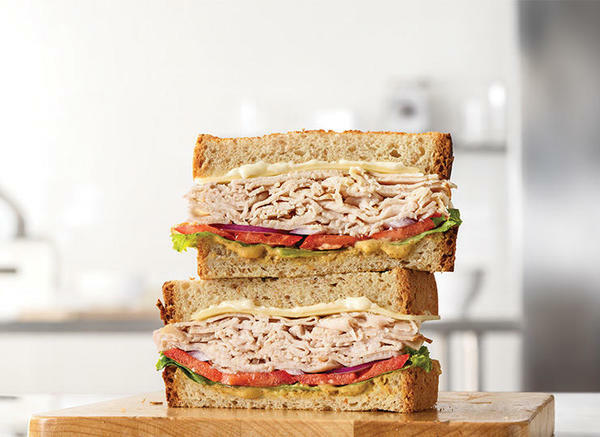 Oven-roasted turkey, ripe tomatoes, lettuce, thinly sliced red onions, Swiss cheese, mayo and spicy brown honey mustard. Together they make the Roast Turkey & Swiss sandwich, the sandwich roast turkey was made to go on. Marbled rye bread filled with freshly sliced corned beef, melty Swiss Cheese, tangy sauerkraut and creamy Thousand Island dressing. 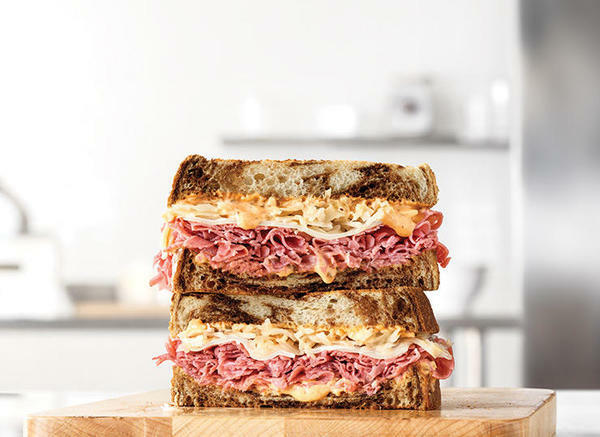 This is a reuben sandwich inspired by the New York standard. 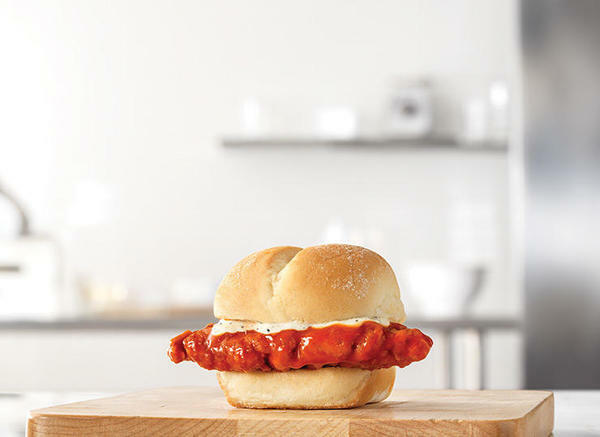 A crispy chicken tender dipped in spicy buffalo sauce and topped with Parmesan Peppercorn Ranch. For when you want to step things up, but just a little bit, because it’s a slider. Potatoes. The meats of the field. Sliced up curly and fried to perfection. Snack-size curly fries are delicious on their own and even better with one of our famous sauces. 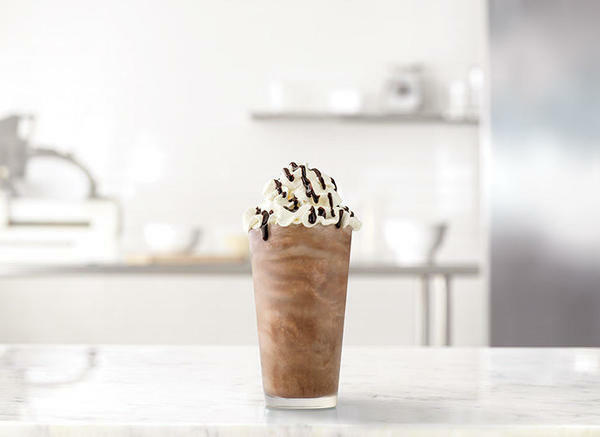 The indulgent Ultimate Chocolate Shake is made with real, premium Ghirardelli chocolate and drizzled with even more real, premium Ghirardelli chocolate. What we’re saying is Arby’s keeps it real. And premium. Just like eating dinner at home, but with strangers. 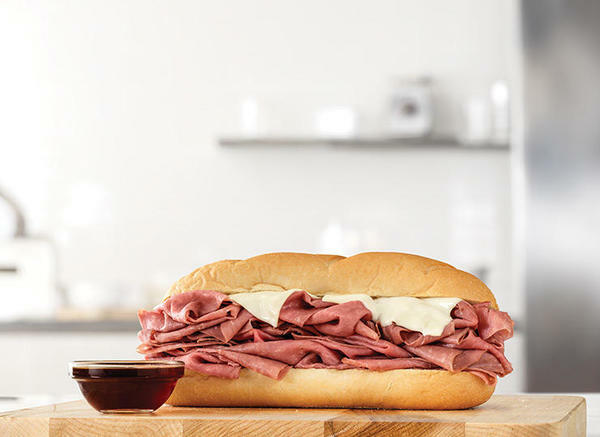 ​This is the biggest Half Pound French Dip & Swiss Arby’s has on the menu, featuring a half pound of our signature tender roast beef. And a fun side of au jus for maximum Frenchness. Nothing says “I am an adventurous eater and interesting person” like eating a gyro at Arby’s. 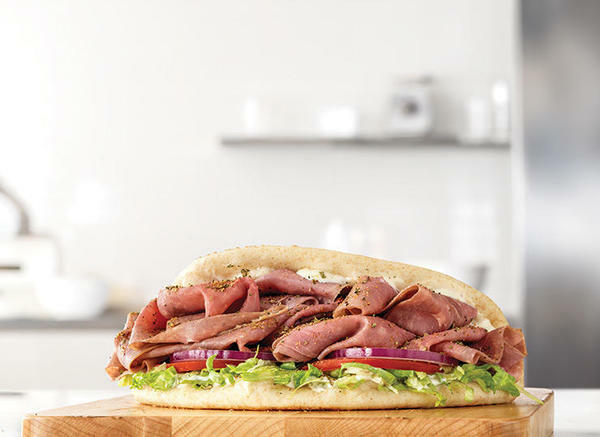 Our classic thinly sliced roast beef is topped with lettuce, onions and tomatoes, cool creamy tzatziki sauce, and authentic Greek seasonings all hugged by a warm pita. 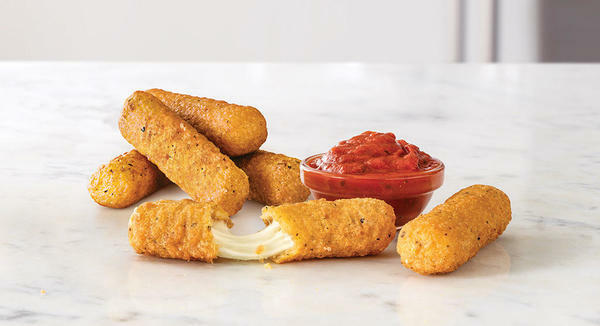 Stretchy, cheesy, melty mozzarella that's battered and fried. Served with a marinara sauce for dipping. 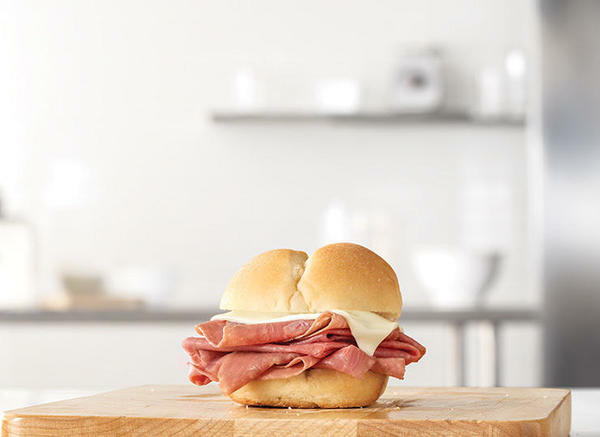 We took the best of the Italian meats – pit-smoked ham, salami, and pepperoni, sliced them up thin, then stacked them higher than feasibly possible with melted Swiss. But we didn’t stop there. We piled banana peppers, lettuce, tomato, and red onion on there too, and drizzled it all with a red wine vinaigrette, topped with garlic aioli, all on a toasted Italian roll. 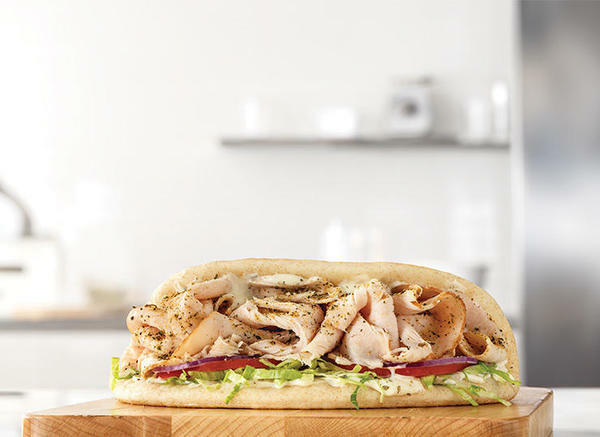 Our Turkey Gyro is crafted with our classic thinly sliced roast turkey, lettuce, onions and tomatoes, cool tzatziki sauce and traditional gyro seasonings on our soft pita. You might have to eat lunch at work, but your mouth can go all the way to Greece. We set out to make a sandwich with layers of smoky flavor, and this is the result. We smoke our brisket for at least 13 hours in a pit smoker in Texas. We top that with smoked gouda, crispy onions, mayo and BBQ sauce and serve it all on an artisan-style roll. You might want to sit down. This could take a while. 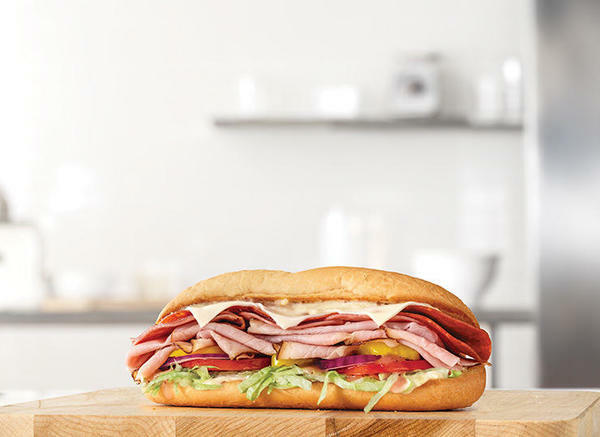 We took the best of the Italian meats – pit-smoked ham, salami, and pepperoni, sliced them up thin, then stacked them higher than feasibly possible with melted Provolone cheese. 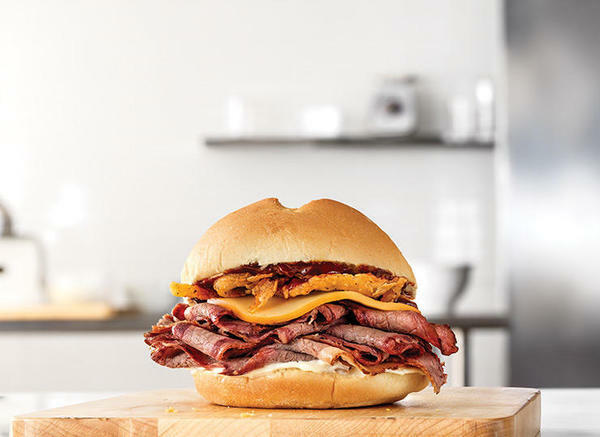 Arby's Peoria is a quick-service restaurant serving quality meats on handcrafted sandwiches. We call the transformation from a cut meat to a delicious sandwich "Meatcraft", and our dedication to Meatcraft informs every decision we make. From the sandwiches we serve to our curly fries, shakes and sides, everything we do is in service to the meats. It's why we get to work every morning hours before we open our doors. Good food takes time to prepare, and we're happy to put in the time to make your meal great. 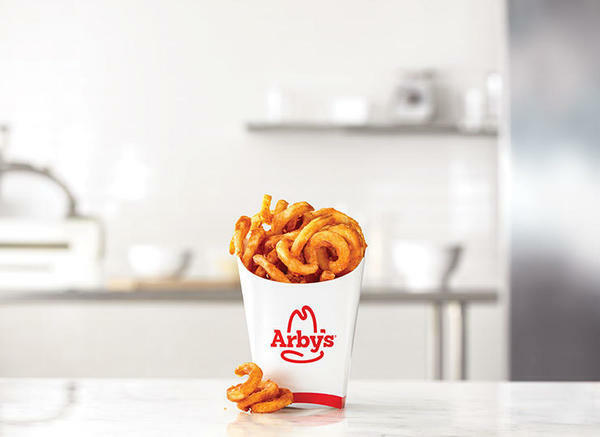 Visit the Peoria Arby's today. Work for a company that values innovation, trust, and respect. TM & 2018 Arby’s IP Holder, LLC. All Rights Reserved.